Thank you, I appreciate it! ;) That very picture which you posted was on the paper bags in which we handed it out ;) The caseback bears a different sailor-Wolf inscription. Will photo and post it later. Ah, so maybe it's more to do with Batch 1 versus Batch 2 rather than intentional design differences. Interesting. Just received my orange one last week...recessed ....brushed crown! Dave_Mc, BRUICHLADICH, volgofmr and 1 others like this. Love mine....I’m sure you will as well! 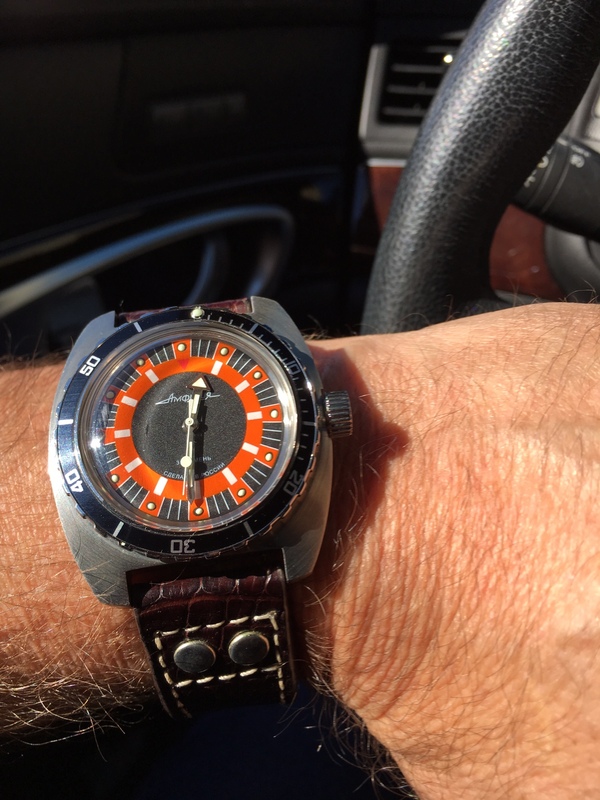 Trouble deciding on straps...did the orange/black/white nato....looks great....did the brown leather...looks great....that photo is with a dark brown gator...uh...looks great! Have another “seatbelt black/orange edges coming my way...might be the one....bet it’ll..look great! Love the way it plays with the light. Bright blue, grainy texture in the sunlight and midnight blue in low light. Bucks, zagato1750, Dave_Mc and 6 others like this. Avidfan, BRUICHLADICH, malbur and 3 others like this. My just delivered Amphibia... RRO! 24h, Avidfan, volgofmr and 2 others like this.